The problem of stochastic stability analysis for Markovian jump inertial neural networks with mode-dependent time-varying delay is considered in this paper. The time-delay is assumed to be mode-dependent and time-varying. Using the suitable transformation technique, the second-order inertial neural network model is transformed into a system of first-order differential equations model. Delay-dependent stochastic stability condition is formulated in terms of linear matrix inequalities through the construction of Lyapunov–Krasovskii functional candidate involving mode-dependent time-varying delay. An integral inequality technique is used in the process to find the bounds of some integral terms. Finally, a numerical example is illustrated to show the effectiveness of the derived theoretical results. The work of the first author (R. Krishnasamy) is supported by the Science & Engineering Research Board (SERB), Department of Science & Technology, Government of India, New Delhi for the financial assistance through National Post-Doctoral Fellowship scheme (file No. PDF/2016/002992 dated 01/04/2017). 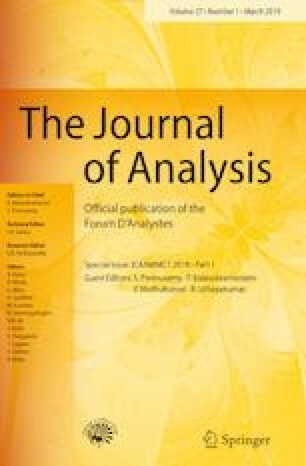 Authors are very much thankful to the Editor-in-chief, Associate editor and anonymous reviewers for their careful reading, constructive comments and fruitful suggestions to improve the quality of this manuscript.